As the post title says, We are going to see How To Convert PDF to PowerPoint Online Free! Well, this might be quite helpful for you. We are going to use an online tool for doing so. This online tool is known as Convert PDF to Powerpoint. So, this online tool is really helpful for you if you are seeking some matter or presentation on the Internet and came across a Wonderful PDF file, So you can use this tool to Convert PDF to Powerpoint Online for free. After converting,you can use that PPT (Powerpoint) file for your use. Or can show in a form of a presentation. If earlier you have been looking for such type of converter, then you search ends here. We highly recommend this tool because most such converters are trial versions or contain weird errors when you use them. 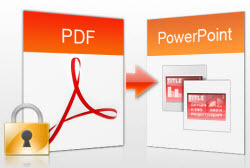 Convert PDF to Powerpoint is an online free PDF to Powerpoint Converter which provides you to convert you to do this work easily and without any software. So, Convert like 123 and Go. Firstly Go to Convert PDF to Powerpoint. Click on Browse and Upload your Desired PDF file. Enter your Email Address and Click on Send. That's all! You will receive Download link in a form of mail within 2 minutes. So, Download that PPT file from the download link and Use it. cool and i can assume you're an expert on this subject. Well with your permission let me to grab your feed to keep up to date with forthcoming post. Thanks a million and please continue the rewarding work.